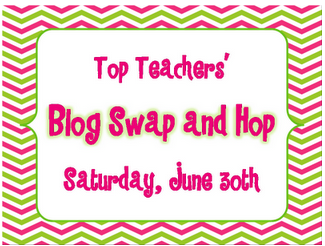 Today, I am joining the Top Teachers Blog Swap and Hop. I hope you enjoy our hop and get to know some new bloggers! I guest blogging on Jennifer at Best Practices 4 Teaching today. Be sure to hop over there because I have a free packet for you! My guest blogger today is April @ A Modern Teacher. You probably met April during the Teacher Appreciation Jackpot. April was one of our helpful coordinator. Who us? We have odd-shaped treasures? Naw! Our files fit nicely in a file folder in the file cabinet. Right next to our always-clean-nothing-ever-on-it guided reading table. Ha! If you are anything like me, you have a ton of these ‘where do I put this’ treasures! Doesn’t fit in a file folder, the shoe box is too narrow, the tub from the dollar store is too narrow and the giant tub is too deep–some things just get smushed in there. Cue your local pizzeria. Pizza? I know…strange….this idea came from my mom many moons ago and works! Thanks Mom! Use pizza boxes to store some of those odd-shaped treasures! I just took some contact paper (and you don’t have to use that–especially if the boxes are new and white) and pretty-ed (that isn’t a word-sorry) them up! Then I added a label (because you gotta add a label–get yours at the end of this post for free) and voila–I have a spot for all those odd-shaped treasures! I’m sure there are a ton more ways you could use them…any more ideas? Here are some free labels that fit with the pizza boxes. These are for your seasonal boxes. I just print, laminate, and tape with clear packaging tape. Thanks Michelle for letting me visit! I am super excited about being here. 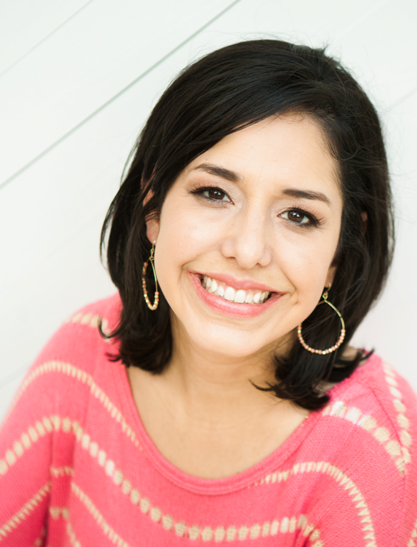 April is the creator of A Modern Teacher Blog. After 11 years of teaching, she stays busy with her new baby and 3 year old. She blogs about DIYs, Craftivities, and Creative Fun for the elementary teacher. April is passionate about helping teachers stay creative in the classroom. Pizza boxes! What a great idea! I am desperate for storage in my classroom these days. Thanks for sharing! I'm feelin the need for pizza for dinner tonight. Several large ones ought to do it. What a fun storage project. Thanks for sharing. Great idea for storage! I always have things that just don't fit right in my drawers or folders! Thank you! I've used pizza boxes in the classroom for storage before & you're right about them working well. I have never decorated mine though & I love the idea. Thanks for sharing.